Easily improve bathroom accessibility with this lightweight folding bath seat with backrest. This lightweight folding bath and shower seat with backrest is designed to assist the elderly or disabled when standing is not possible. Easily set up without tools and bathe in confidence thanks to a lightweight and sturdy aluminium frame complete with supportive backrest and perforated seat to allow easy drainage and rubber legs finished with anti-slip rubber ferrules for stability. 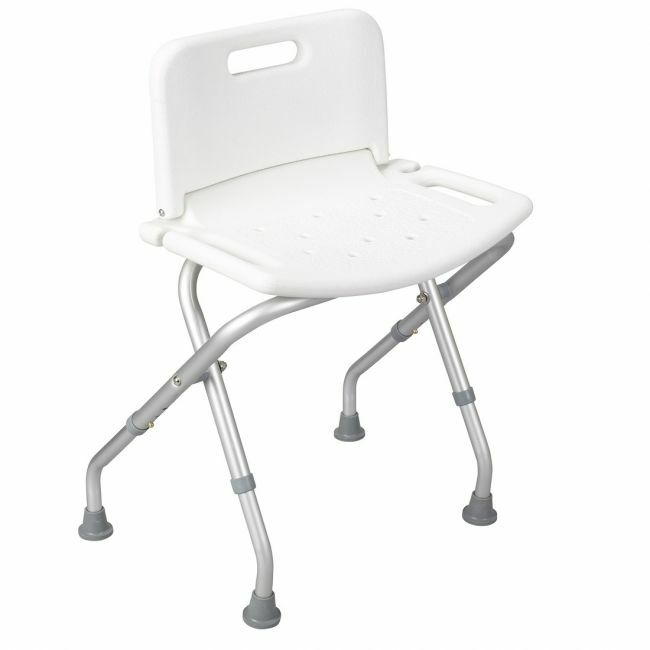 The lightweight folding bath seat with backrest can be folded away and stored easily when not in use.